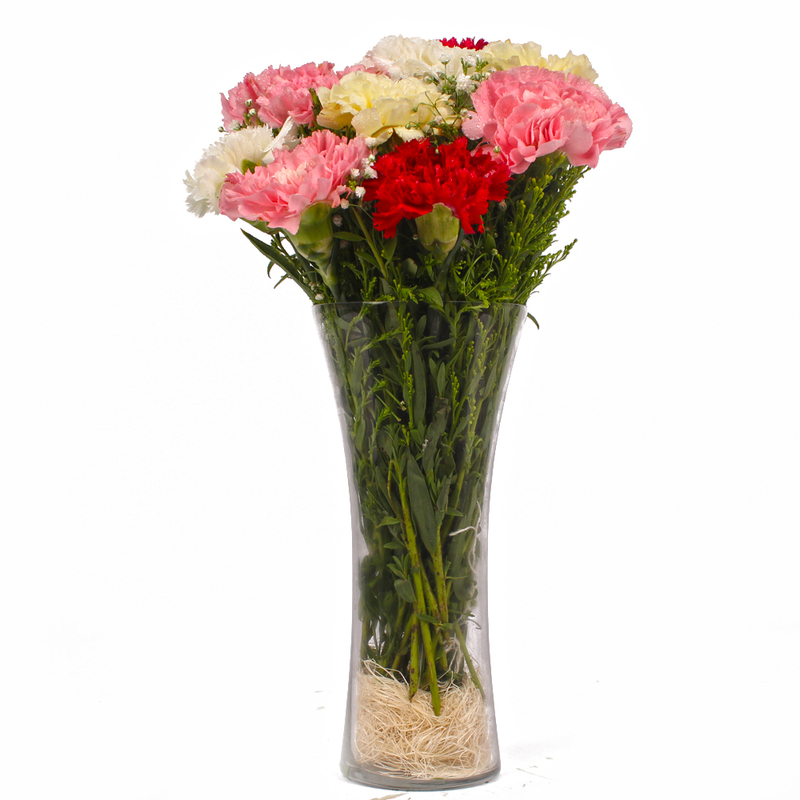 Product Consist : 10 Mix Color Carnationsin Glass Vase. You will fall for this gift item without a doubt. 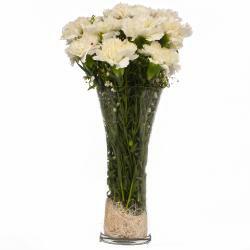 This will endear itself to you with the Carnations arranged in an elegant glass vase. 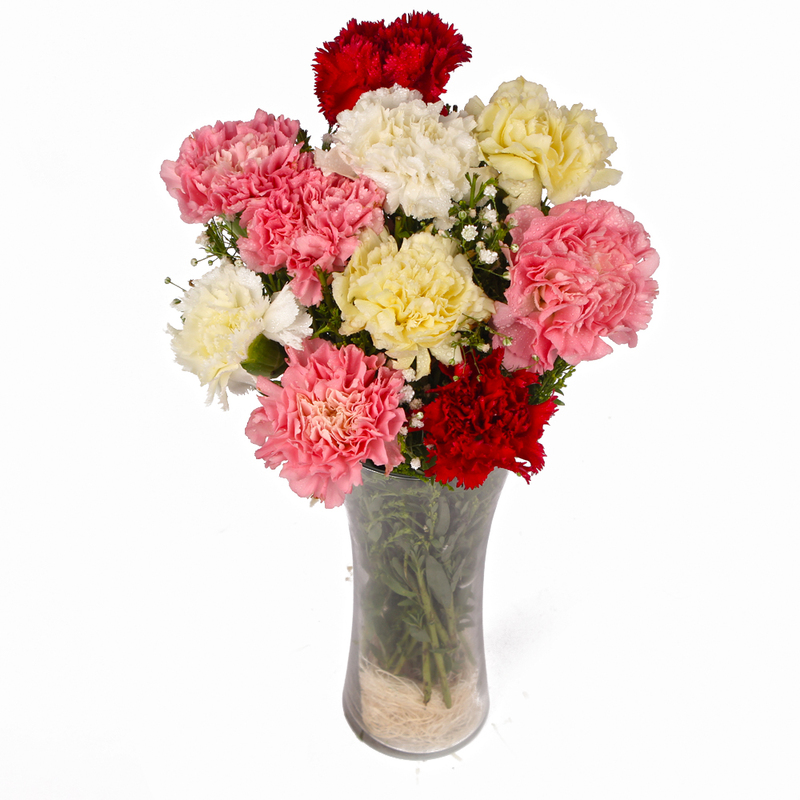 These multi color Carnations will be a sight to behold in any room of your house and make for fantastic gifts without a doubt. 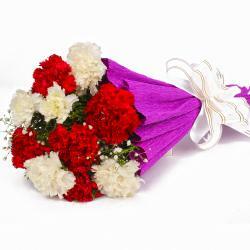 The vase adds the perfect finishing touch to this gift and makes for a wonderful collectible indeed. 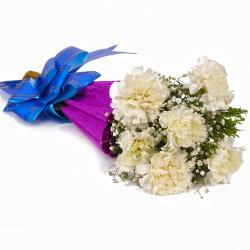 This gift is perfect for a multitude of occasions including Birthday, Anniversary, Independence Day, Thanksgiving Gift and Friendship Day. 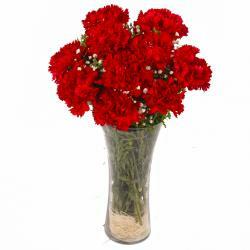 The arranged presented to you by Giftacrossindia.com comprises of multi color Carnations Product contains : 10 Mix Color Carnations arranged in Glass Vase.